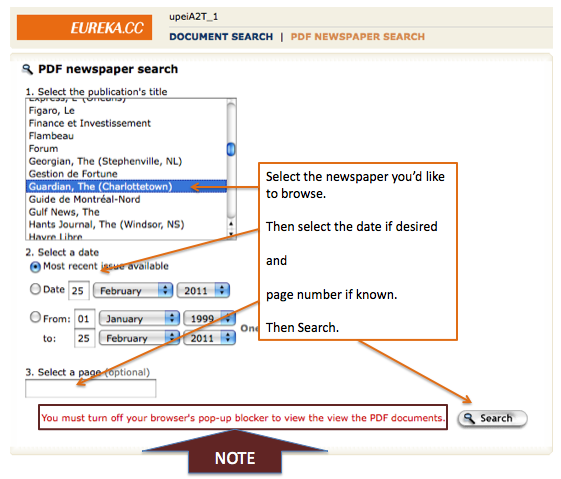 Eureka is the service we subscribe to that allows us to search news sources across Canada and internationally. 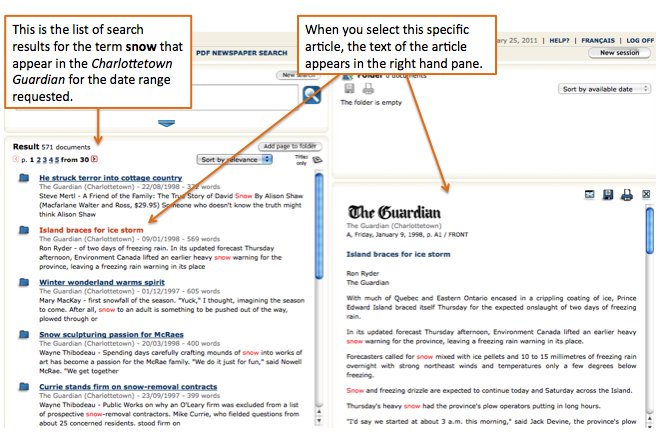 It is also how we can search our two local newspapers: the Guardian and the Journal Pioneer. 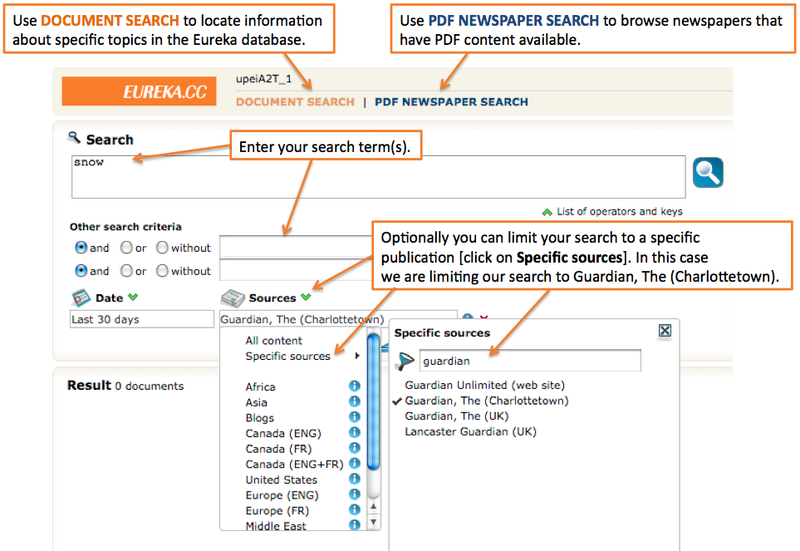 Eureka has online help available and the graphic below provides a step-by-step process for searching within the Guardian. 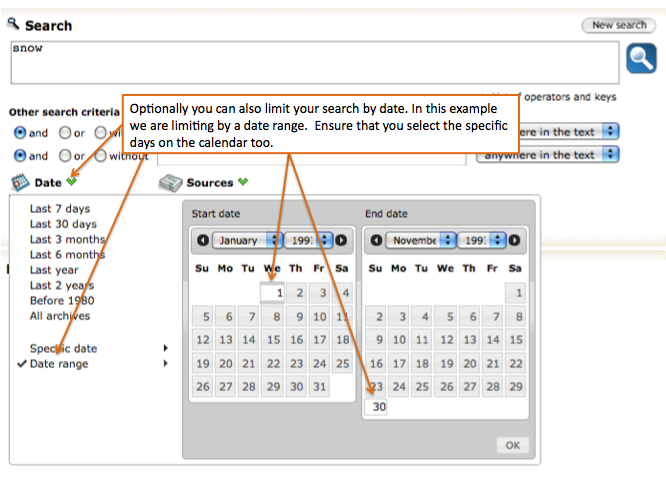 The same steps can be applied to search within the Journal Pioneer.